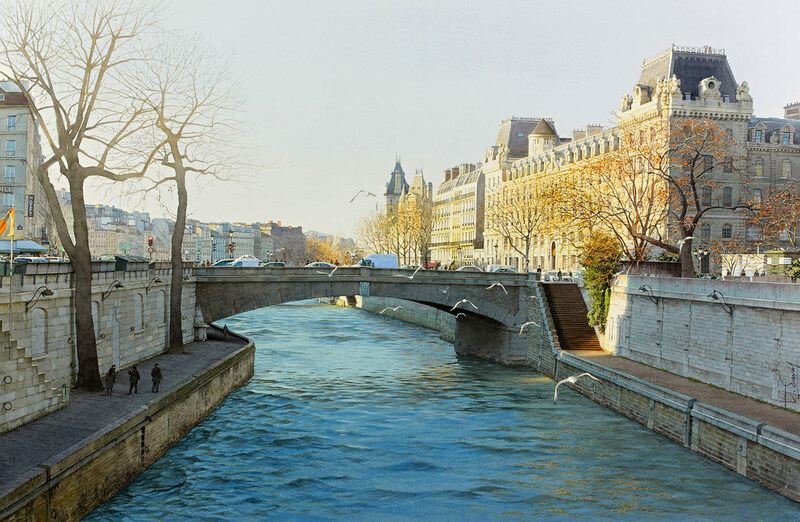 Thierry Duval – private collection. 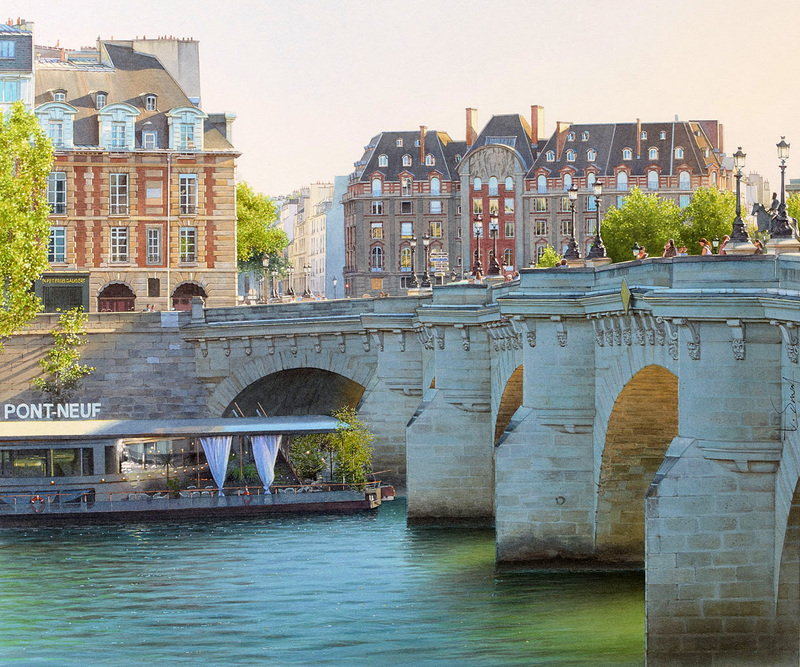 Title: La vedette du Pont-Neuf. Date: 2016. Materials: watercolor. Dimensions: 55 x 45 cm. 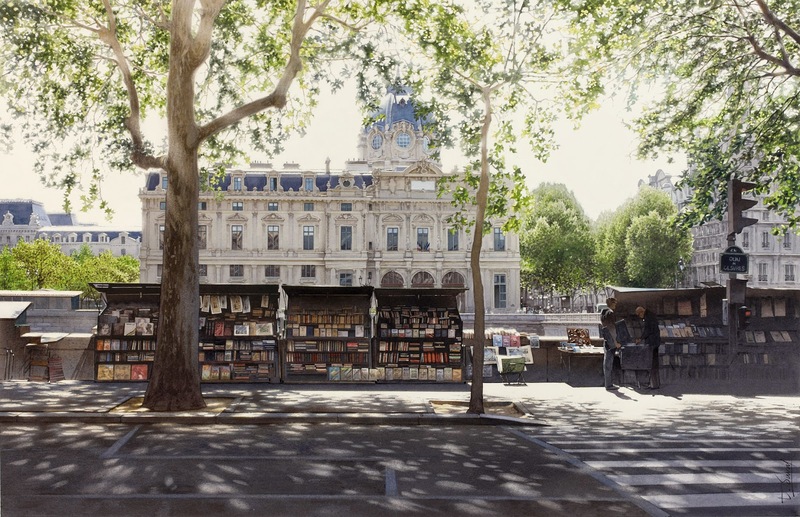 Source: https://www.flickr.com/photos/miafeigelson/27332788453/in/album-72157632428863927/. I have changed the light and contrast of the original photo. Thierry Duval – private collection. Title: Le Tribunal de Commerce et les bouquinistes. Date: 2012. Materials: watercolor. Dimensions: 72 x 52 cm.. 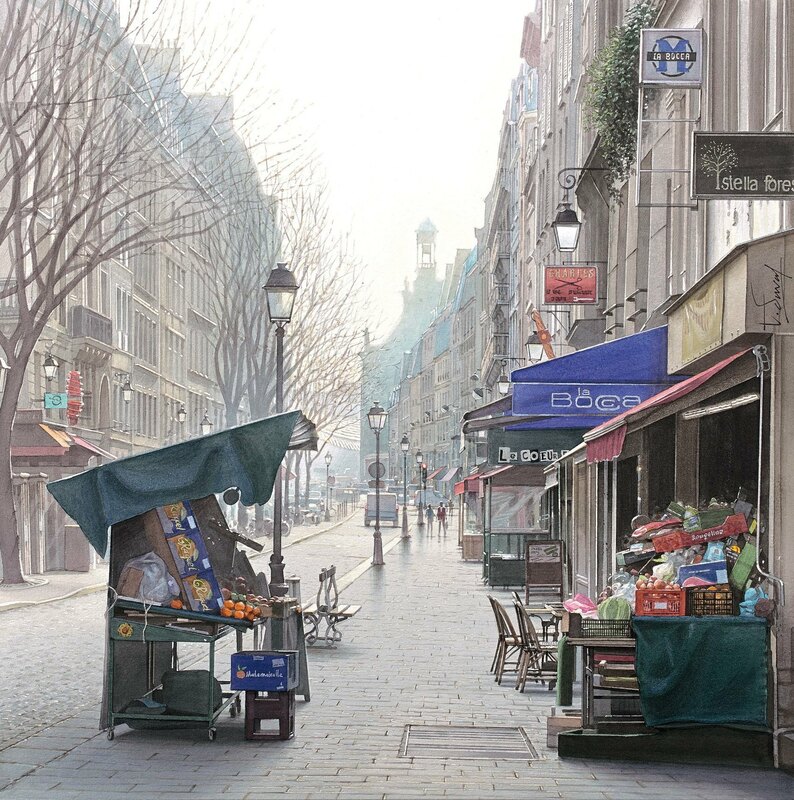 Source: http://2.bp.blogspot.com/-gsUXb-YlwOI/VVNqhrhNCBI/AAAAAAAAfmU/hMSJi4oZEZU/s1600/30-Thierry-Duval-Snippets-of%2BReal-Life-in-Watercolor-Paintings-www-designstack-co.jpg. 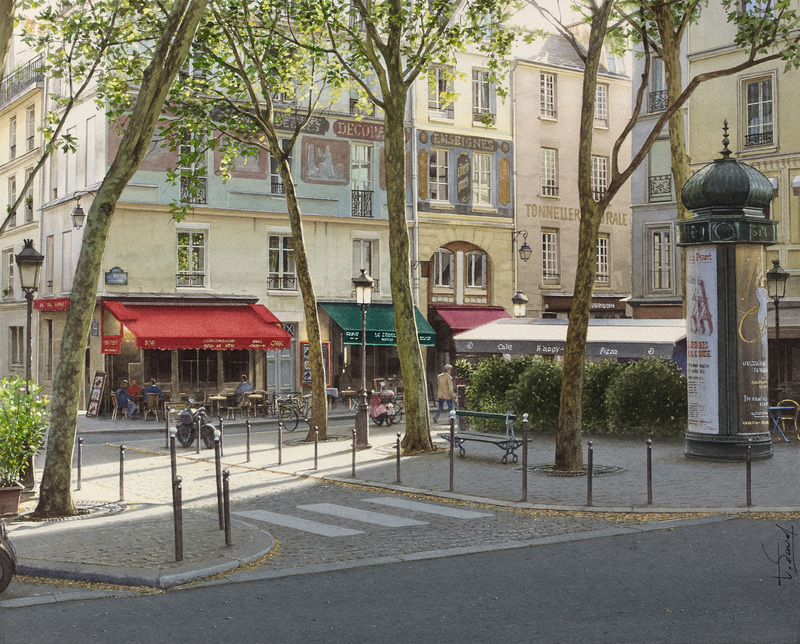 Thierry Duval – private collection. 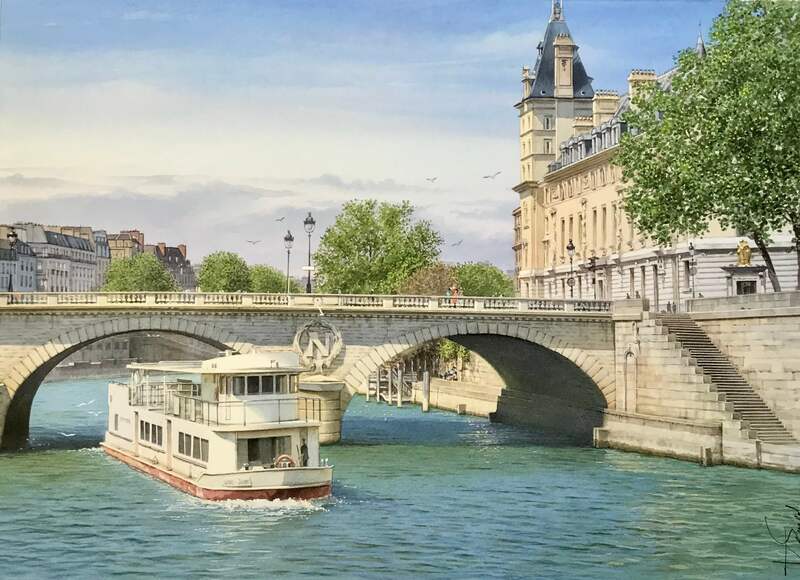 Title: Le Louvre et le Port Royal. Date: after 2010. Materials: watercolor. Dimensions: 82 x 52 cm. 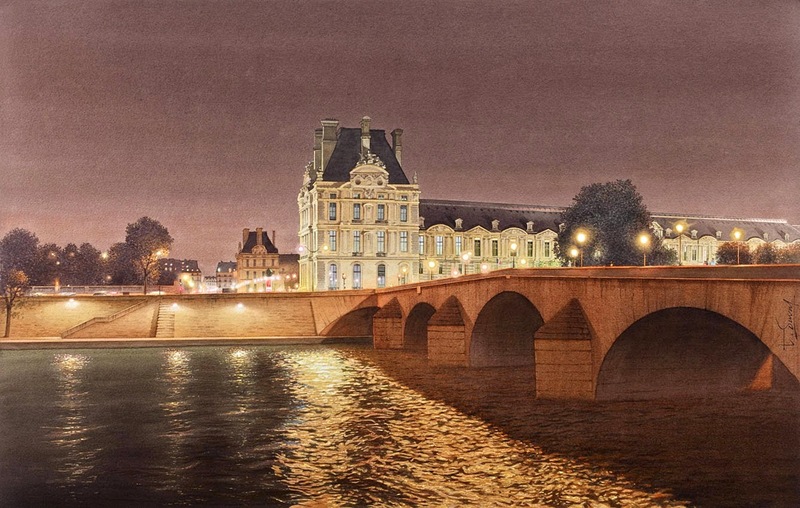 Source: http://4.bp.blogspot.com/-VLS7BCxsslM/VVNqdLURYPI/AAAAAAAAflc/DNL1ExhaFpY/s1600/23-Louvre-Pont-Royal-Thierry-Duval-Snippets-of%2BReal-Life-in-Watercolor-Paintings-www-designstack-co.jpg. I have changed the contrast and colors of the original photo.